W.; Connell, F.; Zhong, N. Neuronal ceroid lipofuscinoses: Classification and diagnosis. Adv. Genet. 2001, 45, 1-34. 8. Autti, T.; Raininko, R.; Vanhanen, S.L. ; Santavuori, P. MRI of neuronal ceroid lipofuscinosis. Cranial MRI of 30 patients with juvenile neuronal ceroid lipofuscinoses. Neuroradiology 1996, 38 (5), 476-482. Nagele, T. MR imaging and localized proton MR spectroscopy in late infantile neuronal ceroid lipofuscinosis. Am. J. Neuroradiol. 1998, 19 (7), 1373-1377. 10. Wechsler, D. WISC-IV: Wechsler Intelligence Scale for Children, 4th Ed. ; Psychological Corp.: San Antonio, TX, 2003. 11. Sheslow, D.; Adams, W.WRAML: Wide Range Assessment of Memory and Learning; Jastak Associates: Wilmington, DE, 1990. 12. Korkman, M.; Kirk, U.; Kemp, S. NEPSY: A Developmental Neuropsychological Assessment; Psychological Corp.: San Antonio, TX, 1998. 13. Lamminranta, S.; Aberg, L.; Autti, T.; Moren, R.; Laine, T.; Kaukoranta, J.; Santavuori, P. Neuropsychological test battery in the follow-up of patients with juvenile neuronal ceroid lipofuscinosis. J. Intellect. Disabil. Res. 2001, 45 (Part 1), 8-17. 14. Das, A.K. ; Becerra, C.H. ; Yi, W.; Lu, J.Y. ; Siakotos, A.N. ; Wisniewski, K.E. ; Hofmann, S.L. Molecular genetics of palmitoyl-protein thioesterase deficiency in the U.S. J. Clin. Invest. 1998, 102 (2), 361-370. 15. van Diggelen, O.P. ; Keulemans, J.L. ; Winchester, B.; Hofman, I.L. ; Vanhanen, S.L. ; Santavuori, P.; Voznyi, Y.V. 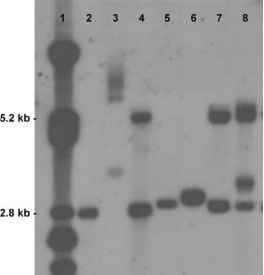 A rapid fluorogenic palmitoyl-protein thioesterase assay: Pre- and postnatal diagnosis of INCL. Mol. Genet. Metab. 1999, 66 (4), 240-244. 16. Sleat, D.E. ; Donnelly, R.J.; Lackland, H.; Liu, C.G. ; Sohar, I.; Pullarkat, R.K.; Lobel, P. Association of mutations in a lysosomal protein with classical late-infantile neuronal ceroid lipofuscinosis. Science 1997, 277 (5333), 18021805. 17. Junaid, M.A. ; Sklower Brooks, S.; Wisniewski, K.E. ; Pullarkat, R.K. A novel assay for lysosomal pepstatin-insensitive proteinase and its application for the diagnosis of late-infantile neuronal ceroid lipofuscinosis. Clin. Chim. Acta 1999, 281 (1-2), 169-176. 18. Zhong, N.A. ; Wisniewski, K.E. ; Ju, W.; Moroziewicz, D.N. ; Jurkiewicz, A.; McLendon, L.; Jenkins, E.C. ; Brown, W.T. Molecular diagnosis of and carrier screening for the neuronal ceroid lipofuscinosis. Genet. Test. 2000, 4 (3), 243-248. 19. Zhong, N. Neuronal ceroid lipofuscinosis and possible pathogenic mechanism. Mol. Genet. Metab. 2000, 71 (3), 195-206. 20. Savukoski, M.; Klockars, T.; Holmberg, V.; Santavuori, P.; Lander, E.S. ; Peltonen, L. CLN5, a novel gene encoding a putative transmembrane protein mutated in Finnish variant late infantile neuronal ceroid lipofuscinosis. Nat. Genet. 1998, 19 (3), 286-288. 21. Ranta, S.; Zhang, Y.; Ross, B.; Lonka, L.; Takkunen, E.; Messer, A.; Sharp, J.; Wheeler, R.; Kusumi, K.; Mole, S.; Liu, W.; Soares, M.B. ; Bonaldo, M.F. ; Hirvasniemi, A.; de la Chapelle, A.; Gilliam, T.C. ; Lehesjoki, A.E. The neuronal ceroid lipofuscinoses in human EPMR and mnd mutant mice are associated with mutations in CLN8. Nat. Genet. 1999, 23 (2), 233-236. 22. Gao, H.; Boustany, R.M. ; Espinola, J.A. ; Cotman, S.L. ; Srinidhi, L.; Antonellis, K.A. ; Gillis, T.; Qin, X.; Liu, S.; Donahue, L.R. ; Bronson, R.T.; Faust, J.R.; Stout, D.; Haines, J.L. ; Lerner, T.J.; MacDonald, M.E. Mutations in a novel CLN6-encoded transmembrane protein cause variant neuronal ceroid lipofuscinosis in man and mouse. Am. J. Hum. Genet. 2002, 70 (2), 324-335. 23. Wheeler, R.B. ; Sharp, J.D. ; Schultz, R.A.; Joslin, J.M. ; Williams, R.E. ; Mole, S.E. The gene mutated in variant late-infantile neuronal ceroid lipofuscinosis (CLN6) and in nclfmutant mice encodes a novel predicted transmembrane protein. Am. J. Hum. Genet. 2002, 70 (2), 537-542. 24. Teixeira, C.A. ; Espinola, J.; Huo, L.; Kohlschutter, J.; Persaud Sawin, D.A. ; Minassian, B.; Bessa, C.J. ; Guimaraes, A.; Stephen, D.A. ; Sa Miranda, M.C. ; MacDonald, M.E. ; Ribeiro, M.G. ; Boustany, R.M. Novel mutations in the CLN6 gene causing a variant late-infantile neuronal ceroid lipofuscinosis. Human Mutat. 2003, 21 (5), 502-508. 25. Zhong, N. Molecular genetic testing for neuronal ceroid lipofuscinoses. Adv. Genet. 2001, 45, 141-158.